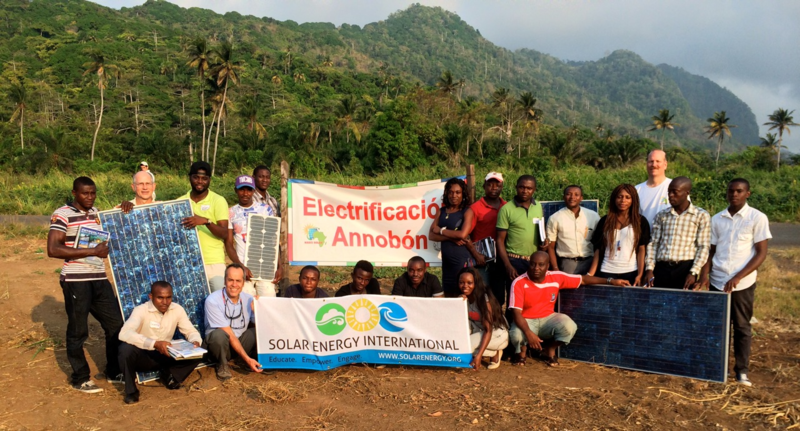 In June 2014 Solar Energy International carried out a 2 week PV training on Annobon Island in Equatorial Guinea, located in west Africa. 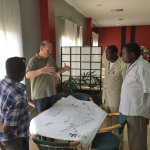 The training, offered in spanish by SEI’s certified instructors and a first for this African country, was contracted by MAECI SOLAR, a division of Management an Economic Consulting Inc., the company hired by the government of Equatorial Guinea to develop the world’s largest self sufficient solar and battery based PV system. The 5MW micro-grid will supply 100% of the island’s current electrical demand and provide much needed power to the local population, served today by costly, unreliable and noisy generator based electricity only a few hours per day. MAECI’s solar project will play a crucial role in the improvement of education, medical services, refrigeration, food supply and a number of other areas still in short supply in Annobon. It will help reduce environmental impacts associated with air pollution and degradation of local forests. 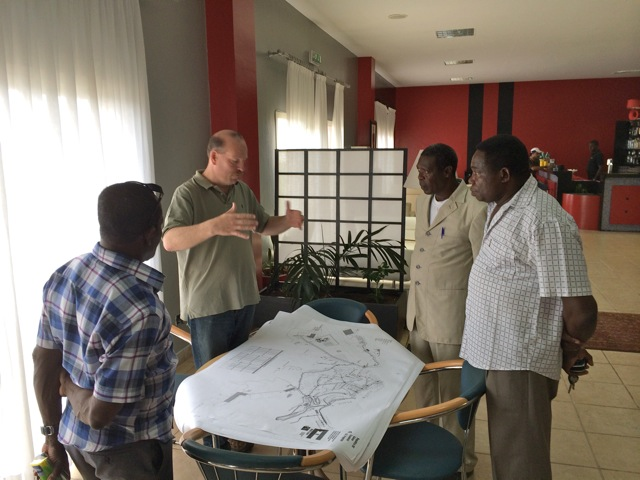 MAECI has requested a series of PV trainings from SEI to train a local workforce capable of developing, building, operating and maintaining PV systems. SEI’s first PV training program, known as FV101, graduated a total of 21 students, 12 from Annobon and 9 from the capital Malabo. Attendees learned the fundamentals of PV design, system integration, module performance, solar analysis, battery operation, and many other areas through classroom and hands on activities. While in Annobon William Rawheiser from MAECI and Daniel Gonzalez from SEI held meetings with Annobon’s local government officials to explain the company’s solar project and the objectives behind this first PV training. 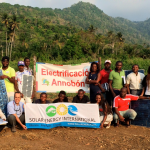 Thanks to MAECI’s support, SEI will travel back to Annobon Island during October 2014 to continue its PV training program with upper level courses, including design and installation of PV systems based on MAECI’s solar equipment destined for one of the villages within the island.